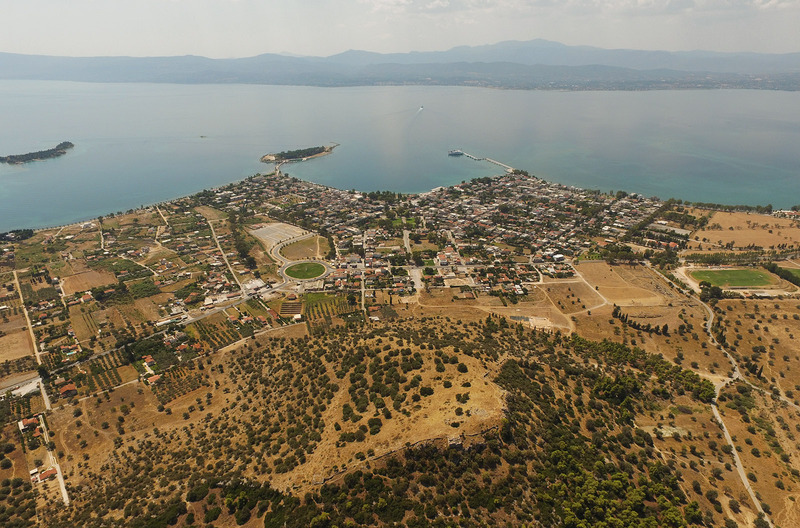 Important city of the Ancient Greece, Eretria has a rich past beginning in the Bronze Age. It was one of the first to explore in the 8th century BC the eastern and western shores of the Mediterranean where it founded colonies and trade posts. As a bridge between East and West, its contribution was essential to the spread of the Semitic alphabet and of the Oriental religions in the Occident. A colonial and commercial power, Eretria took part to the many struggles that were shaking Greece: looted by the Persians in 490 BC, it enjoyed a flourishing period during the 4th and 3rd centuries BC where numerous rich houses were build. 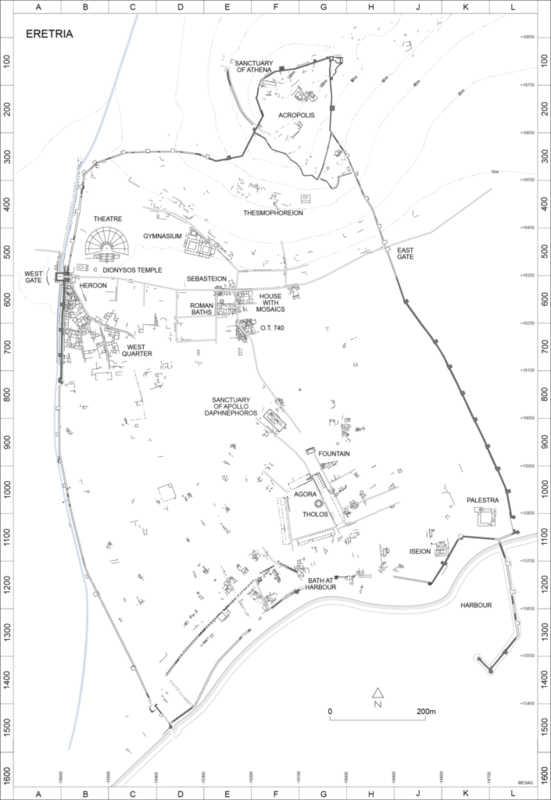 Taken by the Romans in 198 BC, Eretria’s influence decreased slowly until late in the 6th century AD when all traces of human activities on the site disappeared. Occasionally visited by travellers and antiquarians during medieval times, the city was restored in the 19th century to provide a new homeland for the Greek refugees that were expelled from the island of Psara by the Ottomans. The exploration of Eretria’s rich heritage started more than a century ago and is still ongoing, mainly thanks to Greek and Swiss archaeologists.